With its stunning natural beauty and many opportunities for outdoor adventure, Vail, Colorado, is a prime destination for corporate groups. Whether you’re coming to Vail for a workplace meeting, a corporate retreat, or a recreational getaway with co-workers, there’s plenty to explore with Timberline Tours guides. Vail’s scenic waterways, towering mountain peaks, and high-mountain meadows that burst with wildflowers are summer-season highlights. And we love working with you to organize customized itineraries that fit your corporate group’s needs. Timberline Tours has been offering private rafting trips and jeep tours for corporate groups in the Vail area for more than 40 years. In addition to having highly experienced, world-class guides, Timberline offers professional transportation, facilities, and gear to ensure an outstanding group activity that’s appropriate for any age or ability level. 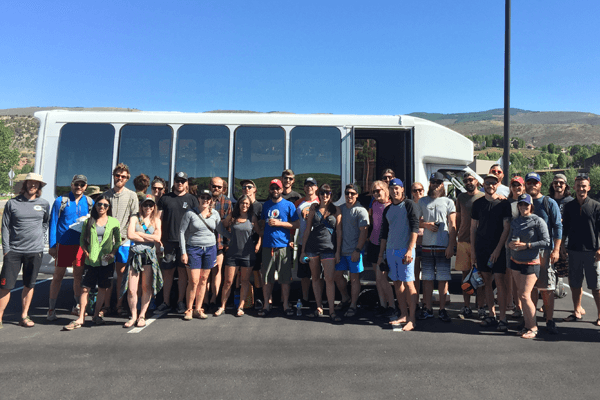 Read on to get ideas for Vail corporate group adventures with Timberline Tours, and call us to book your trip: (970) 476-1414. From scenic float trips to heart-pumping rapids, Vail rafting is a memorable experience for any corporate group. Timberline Tours offers custom rafting trips that can accommodate any meeting schedule and team-building opportunities to fit with your group’s focus. Riverside picnics, gourmet menus, and snack platters can also be arranged to meet your group’s catering needs. Timberline Tours guides corporate group rafting trips on stretches of river that best fit your group’s desired adventure level. Options include the scenic and mild Upper Colorado River, which is a cruisy, Class II stretch of river that lends itself to team-building activities. 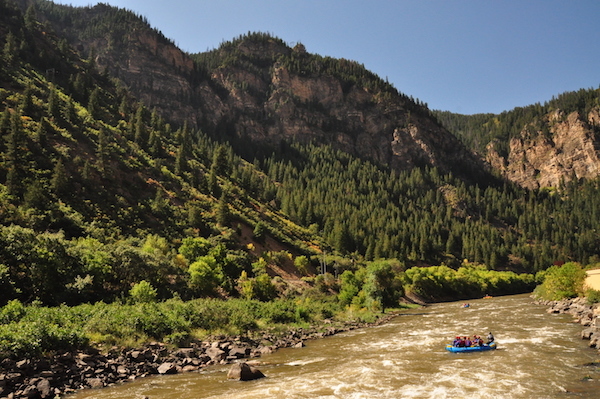 The Shoshone section of the Colorado River adds a bit more intensity with a series of Class III whitewater rapids followed by an incredibly scenic float through Glenwood Canyon. The Shoshone trip can be guided as a morning or afternoon trip. Timberline Tours also offers full-day Class III and Class IV whitewater rafting trips on the Arkansas River’s Browns Canyon and The Numbers sections. 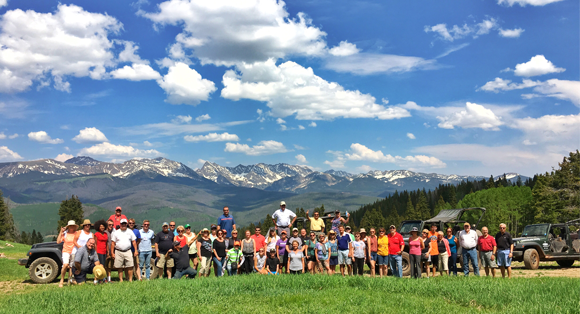 Corporate group jeep tours are an incredible way to experience Vail’s wildflowers, wildlife, and awe-inspiring mountain scenery. Timberline guides share stories of local history and natural history along the way, keeping each trip exciting and unique. 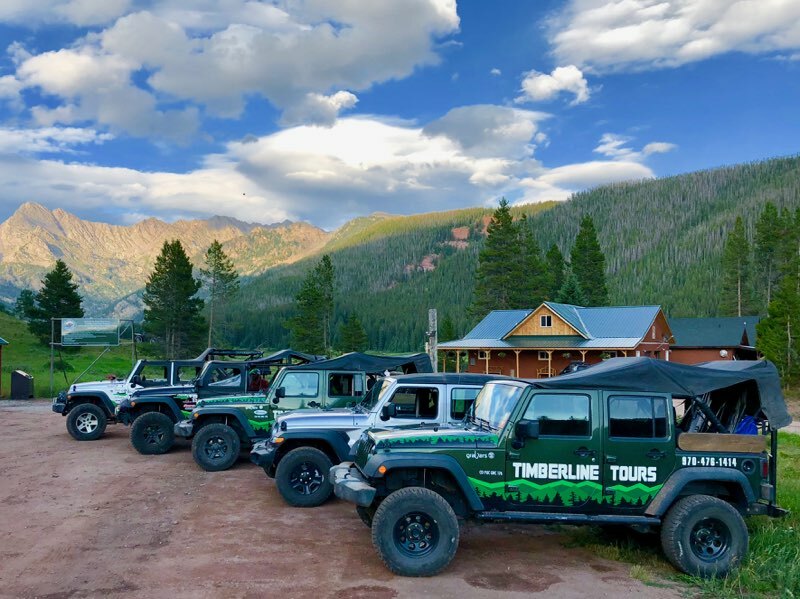 Timberline Tours also offers the option of a jeep tour scavenger hunt, which is a fun trip format that works particularly well with corporate groups. While Timberline Tours can accommodate rafting groups of 20 to more than 200, our group jeep tours can accommodate between 30–40 people per group tour due to limited seating. While jeep tour itineraries can be planned in advance, many factors determine what trails are available on the day of the event. Trail openings and closures, weather conditions, safety, and group dynamics all factor into what trips are possible on the day of your event. Timberline Tours guides work with you to choose the best fit for you group based on current conditions. Beyond offering amazing options for Vail corporate group rafting trips and jeep tours, Timberline Tours is open to working with your group to develop customized adventure itineraries. Whether you have something special in mind or want to work with us to develop an out-of-this-world corporate group adventure, Timberline Tours is excited to guide your group.